Go to our CALENDAR page to see our current schedule for workshops and classes! Participants in this workshop will learn the techniques to paint realistic water, skies, landscapes, and more. They will learn how to create convincing reflections and shadows in water, and how to paint various types of waves and water movement. Participants will learn multiple watercolor techniques including glazing, washes, dry brush, masking, lifting, etc., also composition design, values, and use of color temperatures. Students will complete one "primary" painting during the workshop, the complexity of which is determined by the length of the workshop. Participants will receive reference photos prior to the workshop and are responsible for drawing the subject onto their own watercolor paper before the workshop begins. In addition, students will also complete at least one "study" painting during each day of the workshop. The studies are used to practice the many techniques that we cover during the lessons. Each workshop is unique and a different subject is painted in each class. 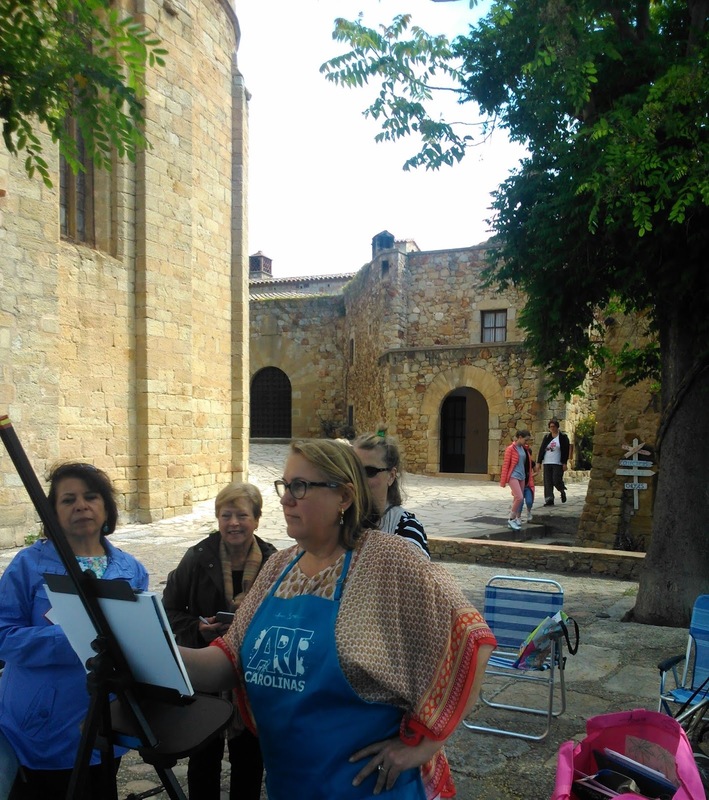 Shorter workshops may focus on specific features and elements of traditional landscape painting, such as just trees, skies, compositions, color mixing, etc. Watercolor paper, at least 140# or heavier. Approximately half-sheet size. Paints: Indigo, Cobalt Blue, Ultramarine Blue (green shade/hue), Payne's Grey, Sepia, Olive Green, Violet, Yellow Ochre, a warm and a cool red, and any other colors you like to use. Click here to see the colors I use most often! Participants in this workshop will learn the tecniques to draw and paint portraits of homes, buildings, and other structures. They will learn how to create perspective in their compostitions, draw and paint trees and landscaping elements, and depict architectural features such as siding, stucco, brick, shingles, windows, etc. Participants will work from their own photos or blueprints, which must be sized to correspond to their watercolor paper. Several smaller scraps or a pad of watercolor paper for praticing brushstrokes. Round brushes in approximate sizes: #16, #10, #4, plus any other brushes you like to use. Paints: Bring an assortment of professional quality paints, plus the usual colors for landscapes. Besides being an internationally renowned maritime artist, Annie Strack is also a commercial artist specializing in Architectural Renderings. Her renderings are in the collections of numerous architects, builders, contractors, and home owners, and have been published in dozens of periodicals and magazines. 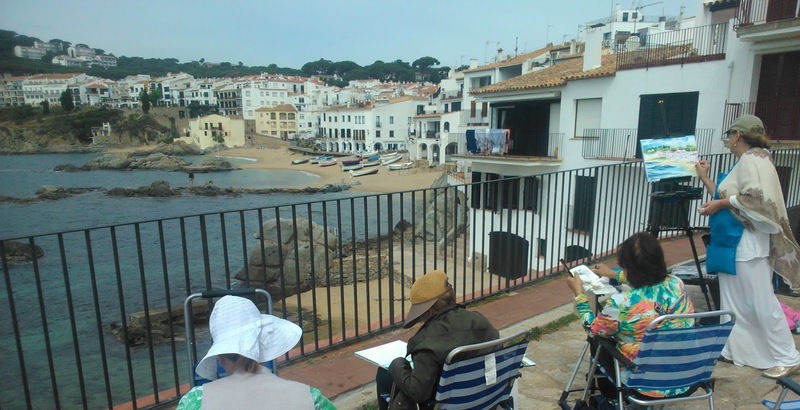 In my plein painting painting workshops, students learn how to use their camera to scout locations and views, and capture what they see using a variety of mediums. Students will work with cameras, sketchbooks, watercolors, and oils, and on prepped boards and or paper. Students should expect to paint more than one panting each day in this workshop. Students will learn how to create great compositions, mix colors using limited palettes, how to deal with changing light, use colors and values to enhance compositions, and techniques for faster and more accurate painting. You will also learn how to use a variety of mediums and materials, and how pack and carry your gear efficiently. This workshop is available for watercolor and/or oil painters, supply lists will depend on which mediums you wish to work with. Art Business and Marketing workshops can be tailored to fit the needs of any group, and the length of the workshop can be adjusted according to the topics that the group would like to learn. Topics include: Social Media (blogging, Facebook, Instagram, Twitter, YouTube, Pinterest, Linked In, g+, etc.,) writing (resume, bio, artist statement, cover letters, proposals, press releases), Business planning (creating business goals, pricing, budgeting, scheduling), Marketing (setting budgets, tracking, creating promo materials, branding, inventory tracking,), Gaining credentials (choosing shows, entering, how to win, techniques of getting name recognition), Organizing the studio, customer relations and selling, and other related topics. Students will need to bring their existing promotional materials for critiques, and expect to work on new materials during the workshop. Participants must bring mobile devices to workshops that focus on Social Media or internet marketing. 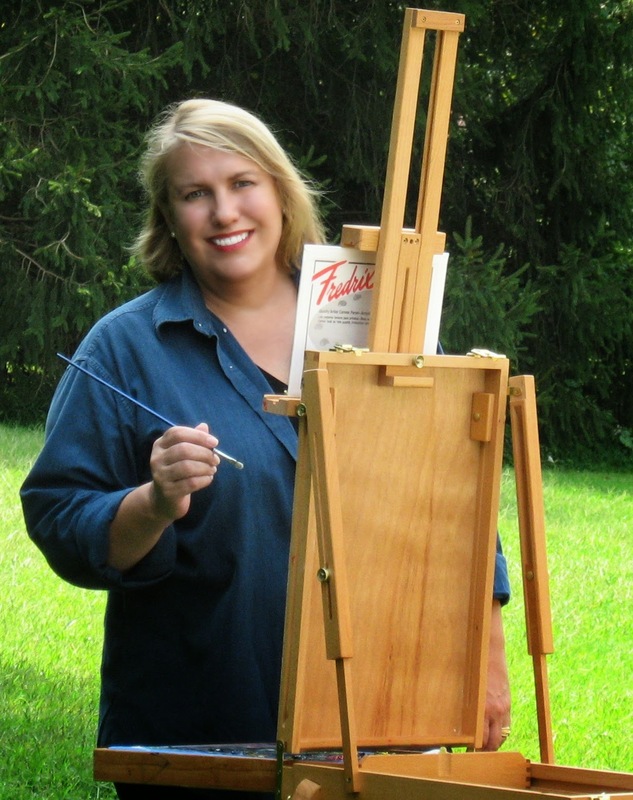 Since 2005, Annie Strack has shared her extensive knowledge and experience of art business and marketing through her monthly columns and feature articles in Professional Artist Magazine, the premier national business magazine for visual artists. Workshop coordinators can click here to request information about hosting an Annie Strack workshop in your area! In the 20+ years that Annie has been teaching, only once has one of her workshops not sold out to full capacity with additional students on a waiting list. In fact, her teaching is so popular that art centers and artist organizations routinely use her workshops as major fundraisers. Contact us to request information on how you can bring one of these profitable workshops to your community! New Orleans Art Association, Royal Corner Gallery, Westbank Art Guild (LA), St Bernard Art Guild (LA), Lacombe Art Center (LA), Madisonville Art League (LA), San Benito Artists (CA), Mispillion Art League (DE), Community Arts Center (PA), Le Petite Art Guild, Louisiana Art and Artists Guild, Jefferson Art Guild (LA), 4-H (FL, SD, Guam), Gulf Coast Art Association (MS), Westwego Art Center, Slidell Art League, Louisiana Watercolor Society, Delaware Watercolor Society, Philadelphia Watercolor Society, Baltimore Watercolor Society, Central Florida Watercolor Society, Louisiana Art Association, St. Charles Art Guild, Lacombe Chamber of Commerce, Mandeville Middle School, Lake Pontchartrain Maritime Museum, Madisonville Elementary School, Metairie Art Guild, Howard Pyle Studios (DE), Pennsylvania Guild of Craftsmen, Gloucester County Art League (NJ), Salem County Art League (NJ), Ocean City Art League (MD), Workshops in Charleston (SC), Southern Artists Gallery, New Jersey Artists and Educators, Artists Network University, Jerry's Artarama, Plaza Art Stores, French Escapade Tours (Spain), Provence Art Experience (France), and many more. Thank you so much for your feedback Annie. It is difficult for me to hear positive things about my work, lol. I quit painting at 16 because of the unbelievable pressure and criticism of my father who was a frustrated professional artist. It was the only way i could survive at that time but i have yearned for decades to paint again and have taken it back up again at 54. I've never had any training except for him and your class seemed like the perfect starting point for me. It is incredible to be painting again. There is unspeakable joy in it. ~ Judi C.
I've learned much from this class. 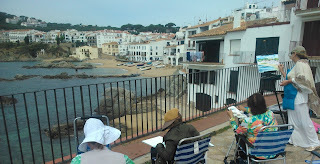 Are you teaching other watercolor classes on-line? I want you to know how much I enjoyed the class. I hope to have the opportunity to take another course from you in the future.I am experienced in oils, acrylics and pastels, but had never done any watercolors, so it has been most helpful to be able to learn about the different qualities of the paints and pigments, papers, how to use/control water, etc. And, planning ahead, exercising patience, working with serendipity are watercolor skills that will serve me well when I go back to my old mediums. ~ Margaret Z. Follow Annie's board watercolor painting tips on Pinterest.